Poll: what new Motorola device makes you most excited? Today, we saw the unveiling of the new DROID lineup of Motorola devices: the Motorola DROID MAXX, Motorola DROID Ultra, and Motorola DROID Mini; and, we all know that the Motorola Moto X is set to be announced next week. 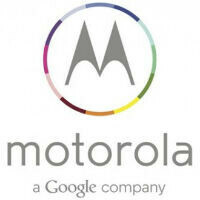 So, that begs the question: which new Motorola device makes you most excited? We know that most of you around here are spec junkies, and on the spec sheet, none of the new Motorola devices can compete with the likes of the Samsung Galaxy S4. But, luckily, mobile devices don't just exist on a spec sheet. They exist in your hand and in your pocket, where performance is king, and a millisecond difference here or there isn't actually noticeable. On that front, it looks like Motorola will be able to compete. So, which device makes you most excited? What new Motorola device makes you most excited? I think the Droid line is loosing it's momentum. It has been since the original Droid. The Droid X was a good phone and a huge success, but everything since has been compromised in some way. See, I had reboots on 2.2, but the only bug I remember from 2.3 was the keyboard disappearing bug, which was fixed with a subsequent update. In fairness, the original MAXXXXXX (why so many x? Dumb on malibus, dumb on phones) gave the line some spark, but wasn't so compelling as to give a huge sales boost. The new one's battery life is impressive, and the cores bring it up to par with the G4 and the like, but it's an uphill battle against Samsung's market share and consumer mindset. I was all excited, then i saw that there was no memory expansion slot...and my excitement reduced to half. Waiting for the X.
I doubt the X will have memory expansion either. Your options for microSD will soon be Samsung or Samsung. I thought they would have slots...like the RAZR M. It's disappointing that it tops at 16Gigs, except for the Maxx. And no offence, but i'm not a Samsung person...nothing against them but it's not me. I still have Sony as my option though. Lumia 625 has MicroSD, and it's only entry-level. the only thing that I think is cool is mirroring as well as "ok google now" that while driving could be really useful, concern on the battery side. I feel like they got the big parts of what makes a flagship phone in 2013 but they missed crucial other flagship specs like only having 296 ppi and the lack of wireless AC. Not impressed at all, I hope the Moto X at the very least has a HD1080P display, but going by leaks, that ain't gona happen. Couldn't they fit at least a S600 CPU and HD1080P Display in the Droid Maxx??? Just to bring it up to scratch with the latest flagships? Anyway, good luck to Moto, they'll need it. I'd rather have the dual core. Better on battery and identical real life performance. It could just be me that feels this way but the droid line is dead to me. It was never that exciting but I think its on its last leg. I agree. It's dead for me also. Wish Verizon would stop using that name. LOL No one cares bout Verizon version of the MAXX y cause it's only for Verizon they get all the goodies with hefty battery and SD CARD. While our X Phone is CUSTOMIZABLE if u buy it through them. I hate how glossy these driods look. why isnt iphone an option? Because few, if any, really care about them anymore. Pretty much dead to the world since 2010, and still stuck there. Because that's not what the article was about, troll. I would love a droid maxx NOT on verizon, unlocked. That would be perfect. I don't have anything against verizon but I want a great phone on straight talk. I guess I could buy it used and use it on straight talk anyway...maybe I will.